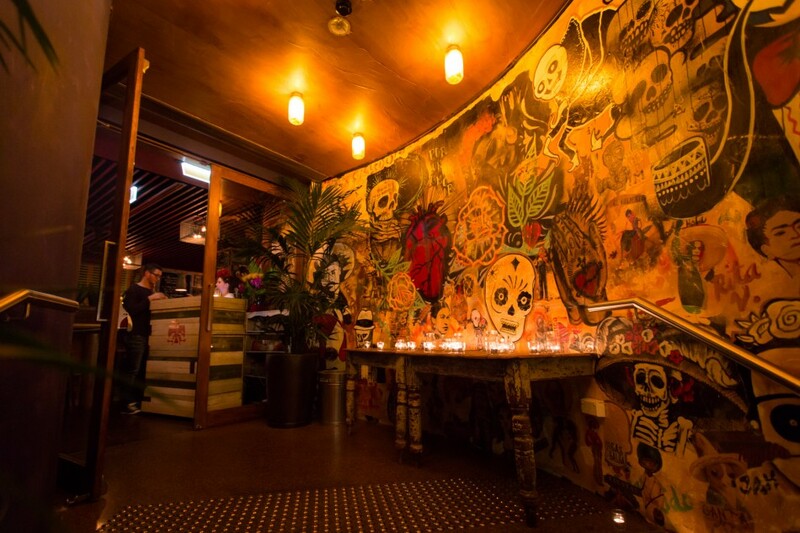 Just when you thought you had overdosed on tacos and quesadillas, Mexico – Food and Liquor opens in Surry Hills. 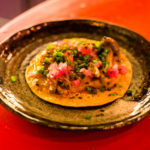 And while the outbreak of this cuisine has become so mainstream that even pubs and fast food franchises are tortilla-wrapping everything, it’s worth seeking out this new establishment. 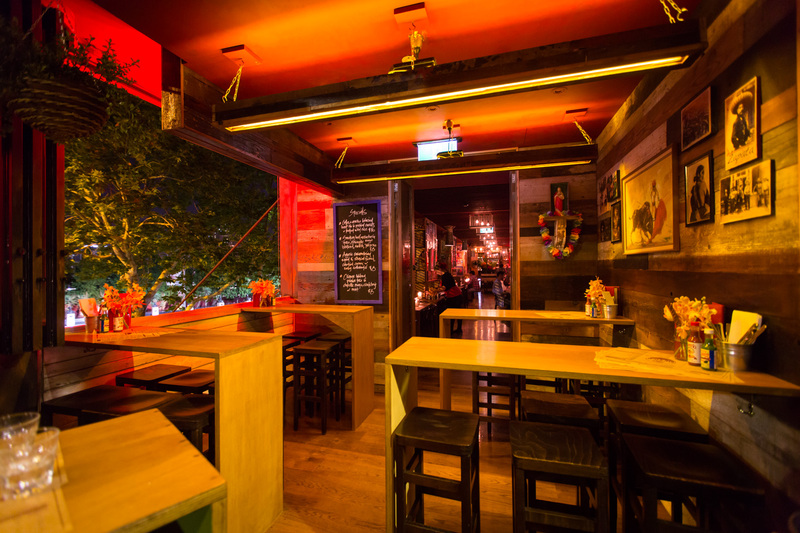 It’s run by Warren Turnbull (who has earned hats for Assiette and District Dining) and, in fact, Mexico transforms the latter space into a new hunting ground for margaritas, tequila and every Mexican beer you can think of. Oh, and the food goes quite well with the booze, too. 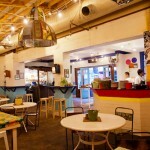 Mexico began as a pop-up in New Zealand – a temporary eatery timed to go with the Rugby World Cup. It became an accidental success, leading to two permanent outlets in that country; this formula has been exported to Surry Hills and you could imagine it being wonderfully cloned to other Sydney locations. I’d be very happy to live near a Mexico eatery. The stereotypically samey nature of Mexican menus (where ‘choice’ comes down to whether you want the same thing slopped into a burrito, tacos or nachos) is what this establishment counters against. 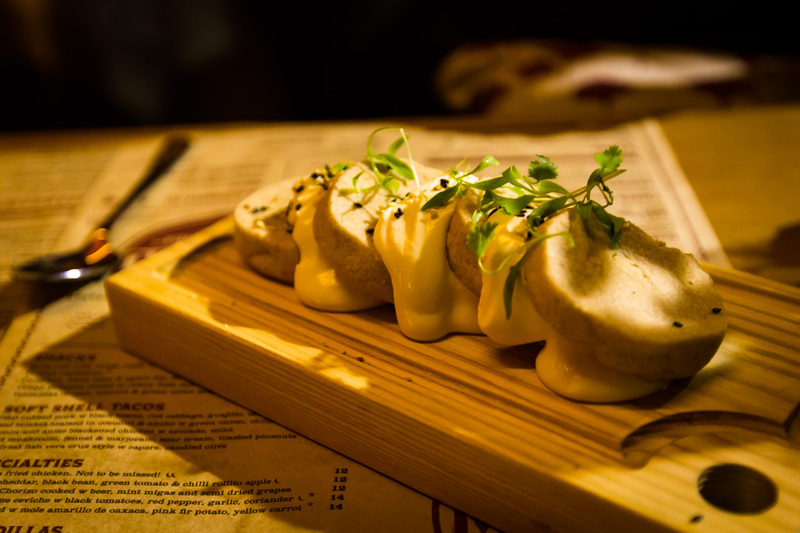 Every line of the menu (which recreates the NZ original) offers a fresh, vivid-sounding dish, rather than a copy-and-paste description of what was listed before. 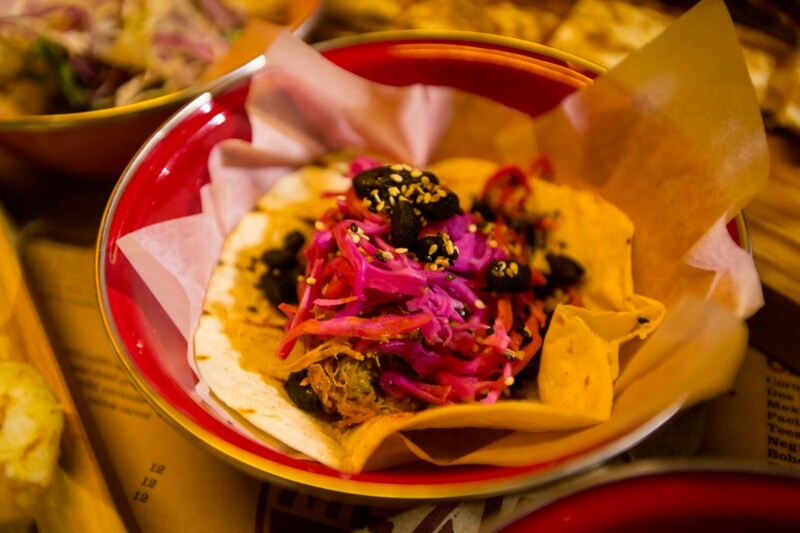 There’s Pibil-Rubbed Pork Taco ($6), which is loaded up with vibrant red cabbage, black beans and hints of guajillo and sesame, and is highly rated by Will. The Wild Mushroom version ($6) brilliantly diverts your attention with left-field swerves of marjoram, fennel, toasted pinenuts and cumin-spiced sour cream. Crispy Potatoes are hit with a zesty citrus zing and the savoury crush of celery lime salt. The accompanying jar of tomatillo dressing adds tangy voltage. 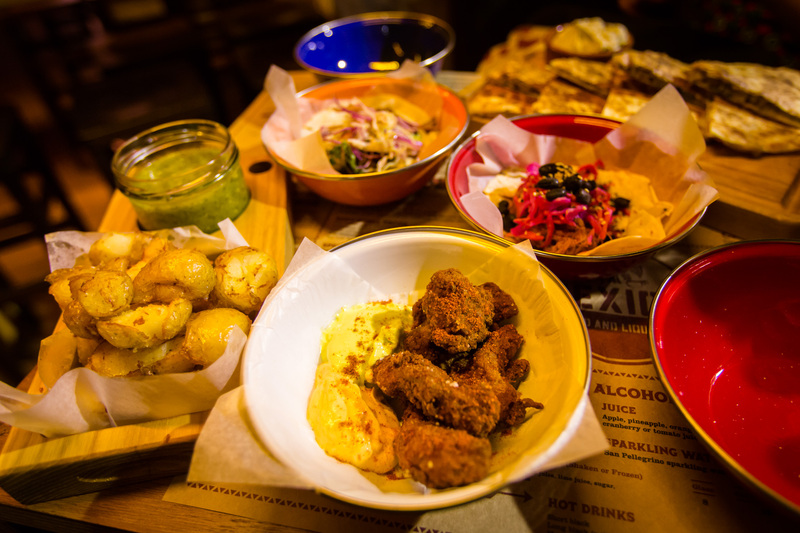 Mexico’s Fried Chicken ($12) manages to combine two of Sydney’s most overexposed culinary fads, and like an unavoidable pop song, it totally works. It’s like a best-of hit, says Will. 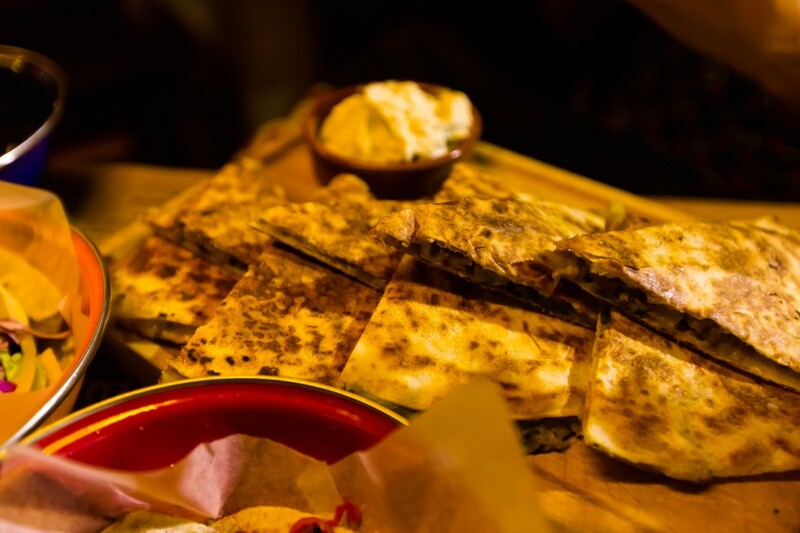 And the Roast Eggplant Quesadilla ($12) is a nice menu change from the predictable bean-and-cheese overkill; here, it’s pressed clean with green onion and walnut and gets a flavour charge from the tart-and-spicy black cumin sour cream. I had wondered if Mexico had cornered itself, given that people are done with tacos et al. 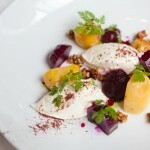 But this establishment answers any doubters convincingly – its menu has curiosity-sparking originality. Don’t you wonder what exactly is a Smoked Cheddar, Black Bean, Green Tomato & Chilli Rollito Apple ($12)? 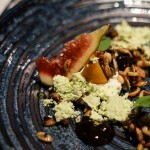 And where else could you get a dessert of Mexican Short Bread ($8), where the surprise element is the citrus kick of mandarin curd and the unusual earthiness of black sesame seeds? Also, the waitresses walk around with cheery Frida-Kahlo-inspired flowers decorating their hair, and Mexican pop culture is confetti-burst all over the walls. The drinks are summery fun, too – Strawberry Margarita ($14) is delicious, but the rosewater virgin option is delicious-er. The level of firepower could be bumped up on certain dishes, but the menu does give you the choice to spike up the spice intensity, by adding chilli sauce. Funny that Mexico started up as a pop-up overseas; now that it’s here, it’s the kind of place you want sticking around for a long while. Mexico, 17 Randle Street, Surry Hills, Sydney, NSW (02) 9211 7798, mexicofoodandliquor.com.au. Follow Mexico on Facebook or Twitter. So, has this replaced District Dining? Australia took decades to jump into the Mexican food bandwagon and by the looks of it, there’s still plenty to discover. Good stuff. Thanks for all the comments, especially your nice words @My Kitchen Stories. @Vivian, glad you had a good time there, too. 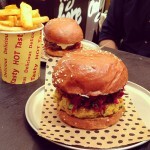 Yes, @Reemski, that’s right, it has now taken over from District Dining (but is still run by Warren Turnbull & co). I am a bit sad that District Dining no longer exists 🙁 hopefully this place will be an adequate replacement, even though there’s been such a surge in mexican food in Sydney lately.